Fashioning a modern and insightful self-help solution. As their business expanded across Europe, so did the demands of Zalando’s online self-help. With Bold360 ai, the content team handles the growing complexity of their knowledge bases with ease, while providing a better customer experience. As Europe’s leading online fashion platform, Zalando has a growing client base across Europe, which resulted in the need to better manage market-specific knowledge bases with customized content to serve each market. The online fashion retailer was offering online FAQs to customers but managing and updating them was a headache. They couldn’t quickly update information or change the layout of the front end, and they were not gaining any analytics. Because they believed that 40% of phone and email inquiries could be addressed with an answer already in their FAQs, they decided to modernize their self-help system to be one that could serve customers effectively, increase customer satisfaction, and reduce contact center costs. "The most important thing for my team is how easy it is to use the content management features. Even with the vast number of languages and possibilities we have to deal with, Bold360 ai makes the daily business of managing content very easy." 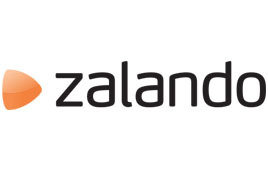 Zalando chose Bold360 ai to deliver more transparent and flexible self-help to their customers, and they are now managing a total of 19 knowledge bases in 12 different languages with ease. It simplifies the process of adding and updating answers for the content team and provides them with valuable insights into customers’ content needs to address gaps in a dynamic way. They can easily see what phrases and freeform text customers are using to ask questions and how many times a certain phrase is searched for, and adapt their knowledge base based on that information utilizing the Bold360 ai search optimizer. Utilizing the feedback mechanism inside articles provides the Zalando team with additional insight into how well the content is meeting customer needs. Now they can see and measure the impact of addressing customer issues and information needs in real time, which they were not able to do before implementing Bold360 ai. They are also able to tailor content served to customers based on customer data for a highly personalized experience. Discover smarter, more personalized engagement.